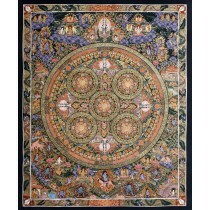 Buddha Life Tibetan Thangka Painting 21" W x 27" H.
You are here: Home > Art and Prints>Painting>Tibetan Thanka Paintings>Buddha Life Tibetan Thangka Painting 21" W x 27" H.
Thangka is a painting applied on cotton or silk canvas usually despiciting Buddhist dieties, scene or mandala. 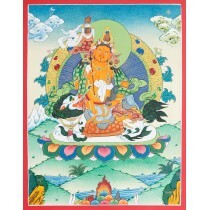 On this thangka Buddhas lifecycle is shown from his birth to his death. 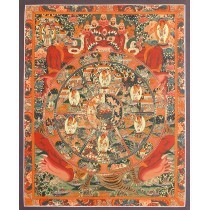 Not all the scene are presented but the main scene/moment from the Buddhas life is presented. 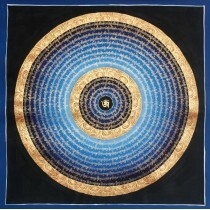 Artist have used poster colour with gold imitation on canvas. 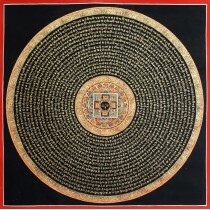 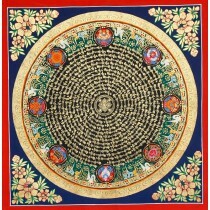 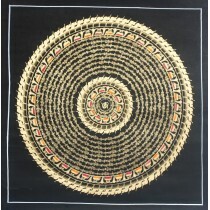 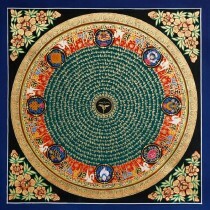 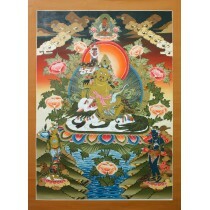 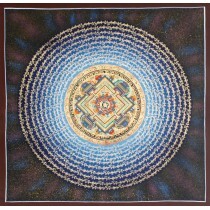 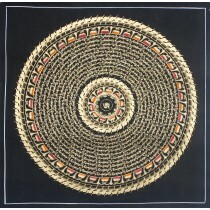 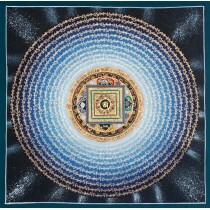 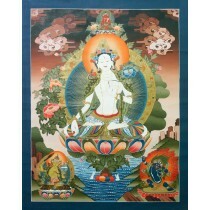 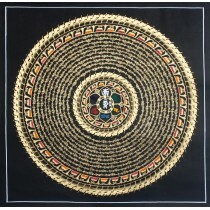 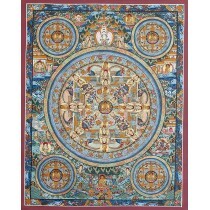 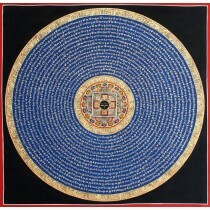 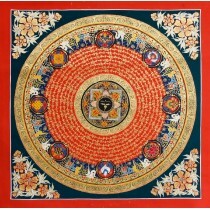 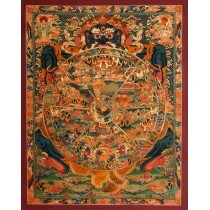 This thangka measures 21 inches of width and 27 inches of height. 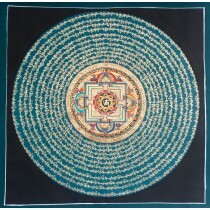 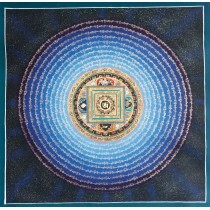 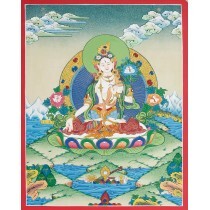 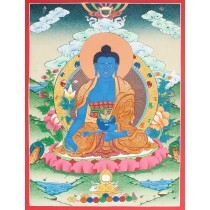 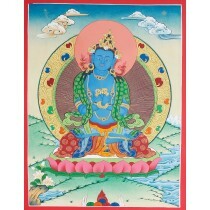 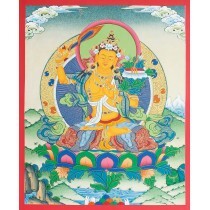 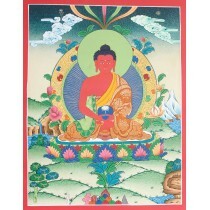 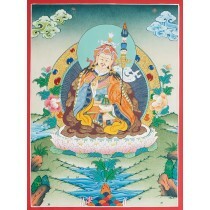 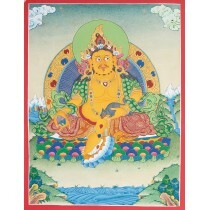 This thangka is beautiful to hang on the wall at your home, office or other places and can be used for meditation purposes if someone is worshipping buddhism and has to practises the culture. 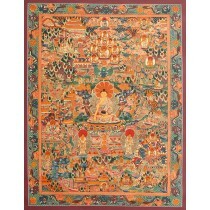 More information about Buddha Life Tibetan Thangka Painting 21" W x 27" H.